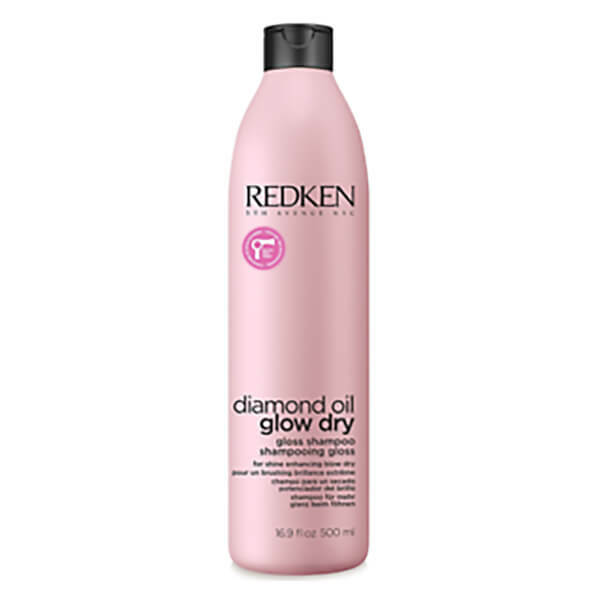 Add mirror-like shine to your locks with the Redken Diamond Oil Glow Dry Shampoo; a lightweight, radiance-renewing formula that works to cleanse and revitalise. Fortified with Amla Extract and Coriander Oil, the luxurious shampoo gently eliminates impurities and product build-up, whilst rejuvenating and restoring luminosity from root to tip. Tresses are soft, sleek and glossy without added weight. Apply to wet hair, massage into lather and rinse. Aqua/Water, Sodium Laureth Sulfate, Citric Acid, Cocamidopropyl Betaine, Glycerin, Sodium Hydroxide, Sodium Chloride, Hexylene Glycol, Parfum/Fragrance, Sodium Benzoate, Salicylic Acid, Polyquaternium-10, Peg-40 Hydrogenated Castor Oil, Coriandrum Sativum Seed Oil/Coriander Seed Oil, Caprylic/Capric Triglyceride, Linalool, Sodium Acetate, Isopropyl Alcohol, Phyllanthus Emblica Fruit Extract.